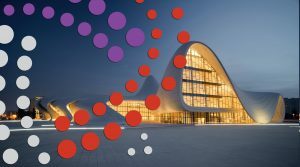 Due to rapid development in economy, every year more and more private entrepreneurs are being registered in Azerbaijan. Favorable conditions for doing business and promising opportunities for stable and good earnings contribute to the growth of the number of legal entities of all forms of ownership. However, the lack of a culture of preparation of future entrepreneurs leads to a number of actual problems. Start-up entrepreneurs face current objectives that are quite problematic to understand on their own. In order not to be left alone with the questions that prevent full functioning of your business, gain support from a team of professionals. “We are the company that will help you to understand the intricacies of accounting, difficulties of legal issues, nuances of personnel proceedings. Among the services we provide there are HR outsourcing and outstaffing. Focus on the fulfillment of key tasks, without wasting your time and effort on secondary matters. Being one of the leading companies in the consulting sphere, we will secure your business from penalties, streamline documentation, and conduct an independent audit. We will tell you how to open a settlement account, where to submit financial statements. We will introduce you into the job and consult on the current issues of the organization’s activities.